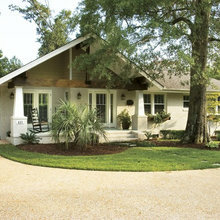 We used Roost for architectural design to update our home several years ago and were very impressed. We reached out to Josh when we wanted to add a carriage barn. As before, we are delighted by his work. We have worked with Josh on multiple occasions now and we couldn't be happier both with the design and level of professionalism he consistently delivers. Josh really listens to his clients and provides them with thoughtful and functional ideas and layouts that really work for them. We highly recommend his services! Thanks! It was a pleasure working with you again and certainly let me know if there's any way I can help in the future. Josh was excellent to work with. He was responsive and professional and quickly seemed to understand the aesthetic style we preferred. His vision helped make a space that had frustrated us for years functional and enjoyable to be in. We love the finished product and would use Josh's services again without hesitation. We highly recommend Roost Architecture! Glad you're enjoying your new space. It was a pleasure working with you as well. 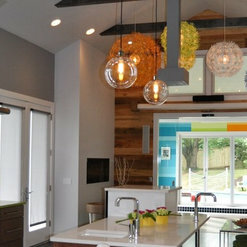 His process to house design was great, enabling us to build a house that fits our lifestyle! Very professional and extremely knowledgeable. We hired Josh Dourte to help us figure out how to add modern living space to an 1880's farmhouse, and blend the new with the old. Josh was very good to work with as we went through the preliminary design process, patiently discussing all the questions and changes that we came across. The plans were approved by the local Code official without comment! Being an Engineer, and also working with a Contractor friend to do the construction, I gained a very high appreciation for Josh's work, as he was able to include accurate details in the work that show his comprehensive knowledge of architecture, building codes, engineering, and the practical aspects of building. My Contractor commented on multiple occasions on how well the plans were done, and how much better they were than several others he had worked on recently! Thanks for the kind words! It was a pleasure working with you and your family. Very creative solutions with innovative and successful design concepts. Provides a design that not only meets the clients needs but includes creative details to go above and beyond the intended vision. This turns the clients dream into something so much more than they had thought possible. 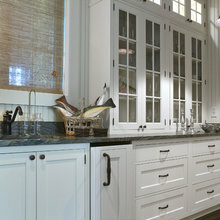 Roost Architecture brought us beautiful designs that far exceeded our expectations. They listened to our needs and created highly functional, sustainable spaces. 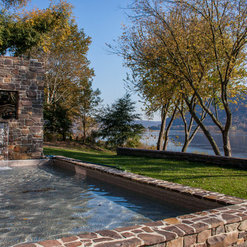 Their seamless collaboration with the engineering and landscape firm demonstrated their ability to work with other professionals. The unique result was respectful of our land and created an elegant synergy with existing structures. We recommend Roost Architecture without reservation and look forward to working with them in the future. Thank you so much for the feedback we enjoyed working with you as well! Josh Dourte (Roost Architecture) has been a fantastic team member in this project. We've never done Victorian before. We've never lived on a small lot in an historic village before. Josh took our general ideas (creating a smaller, geezer-friendly home), listened to our priorities, etc and came up with a working plan that we went over... and over and over. We love what he has created. We are now in Phase #1 of construction (the carriage house). The residence will come later. It's obvious that not only we, but long-time village inhabitants approve of what Josh envisioned for our little lot. 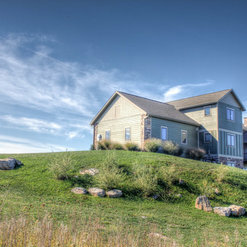 Working with Josh at Roost Architects was very enjoyable and productive throughout the design and building of our home. We wanted to make use of passive solar techniques as well as make the house fit naturally onto our rocky hilltop site. Starting with a hodgepodge of our design ideas and goals, Josh formed a cohesive, build-able yet beautiful design that fell within our budget. The 3-D renderings and various elevation views he created during the design process really helped us to visualize the structure and the space. One feature we wanted was a "cooling tower" that would via convection continuously draw fresh air through the house during the warm months without using any energy resources. This functional "green" building technique was beautifully realized and has proven very effective. Josh was a good listener and offered alternative ideas and suggestions as we went through the design process. We had design meetings with Josh via Skype since we did not live locally which worked out very well. We can emphatically recommend Roost Architects for your home design! 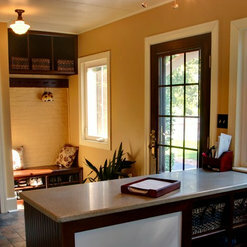 The Roost Architecture firm was hired to design a sunroom/laundry area to an existing home. We were exceedingly pleased with all aspects of this company. The architect was attentive to our ideas and adept at enhancing them aesthetically and functionally. 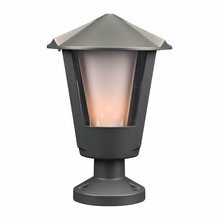 Care was taken to be conscious of energy efficiency. Creativity and problem solving by the architect enabled the project to progress smoothly. Other tradesmen working on the project (electricians, plumbers) remarked on the clarity and thoroughness of the drawings. All of the work was done in the promised time frame and within the proposal budget presented to me prior to hiring the firm. A high level of professionalism defines Roost Architecture. Josh Dourte was the architect for our new home. He was the team leader that produced our LEED Gold certification, the first in our region. It was a relatively complication project due to its location, and it contained unusual products and design elements. The house is comfortable and beautiful and we have already won a state and a national award. 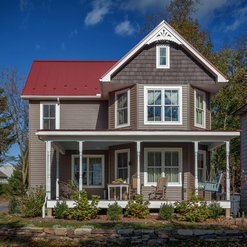 I think Josh is a fantastic architect and is capable of undertaking a wide variety of homes and remodeling projects that compliment the unique location or existing structure. If you are interested in "green" construction, maximizing energy efficiency and minimizing environmental disturbance, I cannot imagin a better architect. I am already discussing additional projects with Josh, including a bridge. 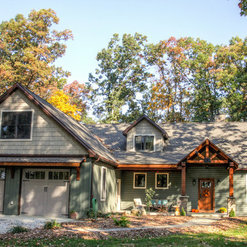 Hired Roost Architecture to design an addition and remodel to our 24 year old home. We had a specific vision and "theme" for the project. Josh was a great listener and converted our ideas to drawings and specs. (while recommending some of his own ideas), that enabled our GC to build exactly what we had in mind. He was very helpful in the bid and GC selection process and helped us through a couple of sticky spots during the project. We are thrilled with the results. 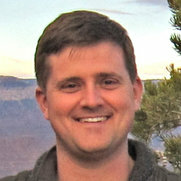 Josh answered questions thoughtfully and was responsive to e-mails and phone calls, as needed. We would highly recommend Josh. Commented: Could you tell me the widow sizes please? Thank you!Most of the double hung window pairs are about 6' high and 5'7&quot; wide. Commented: Remodel or new construction?This project was new construction. 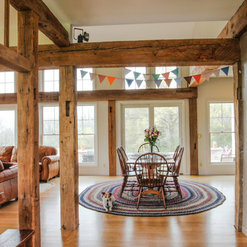 We did incorporate a lot of salvaged barn beams into the design for posts, beams and the mantle. Commented: how tall are the walls?The wall height at the vaulted ceiling is about 11 1/2 feet. Commented: New buildThe living/dining area is about 15'x25'. Commented: Source for beautiful Windsor chairs?Sorry I can't help you with a source. The client owned this dining set before we designed this project. Commented: Where is the dining room table from?Sorry I can't help you with a source. The client owned this table before we designed this project. In fact, we took care to incorporate their table measurements into the room design.